If you have a large family or group of friends looking to stay in a beautiful and secluded location in the Smoky Mountains, our Coopers Cove cabin is your ultimate destination! This 4-bedroom cabin has a sparkling indoor heated swimming pool on the lower level with an exciting waterfall feature, as well as a raised sitting area where you can relax. Other highlights include a covered deck with a hot tub, a pool table and a big-screen television! One of the newest cabins at Large Cabin Rentals is Summit Vista Lodge, a lovely 10-bedroom cabin with an outdoor fireplace and incredible panoramic views of the mountains! The private indoor pool is situated on the bottom level of the cabin, which also contains an observation room, a half bath and an outside area with a hot tub. As if this wasn’t enough, the Summit Vista Lodge also has an exciting game room and a theater room with tiered seating! Splash into fun at our Splash Mountain cabin, an amazing 13-bedroom cabin that has to be seen to be believed! The lower level of the cabin features a full-sized indoor swimming pool with huge glass windows so you can enjoy the surrounding scenery. The pool area is just one highlight of Splash Mountain, as this stunning cabin also offers a state-of-the-art theater room, a game room with a pool table and a gorgeous deck overlooking the mountains! If the name of the Big Vista Lodge doesn’t give it away, this 16-bedroom cabin features oversized windows combined with a cathedral ceiling to provide magnificent views of the Smokies! Bring your bathing suit along to this beautiful Pigeon Forge cabin with an indoor pool to enjoy a day of swimming or an evening of relaxing in the hot tub! 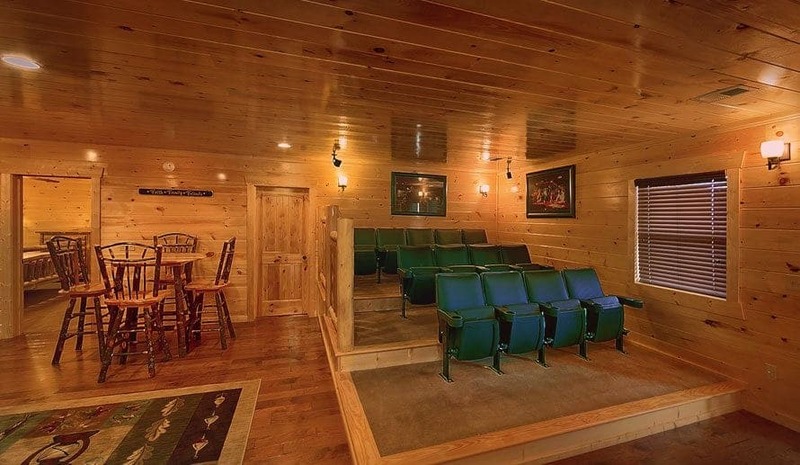 Other cabin amenities include a fun game room and a 30-seat theater room with digital surround sound! Our King of the Mountain cabin is our largest cabin and an incredible place to hold your next family reunion, corporate outing or group getaway! This huge 18-bedroom cabin has a lower level packed with fun surprises, including an indoor swimming pool, a 21-person theater, a pool table and two hot tubs! While staying at King of the Mountain, you will love the open floor plan that allows you to easily walk from room to room! 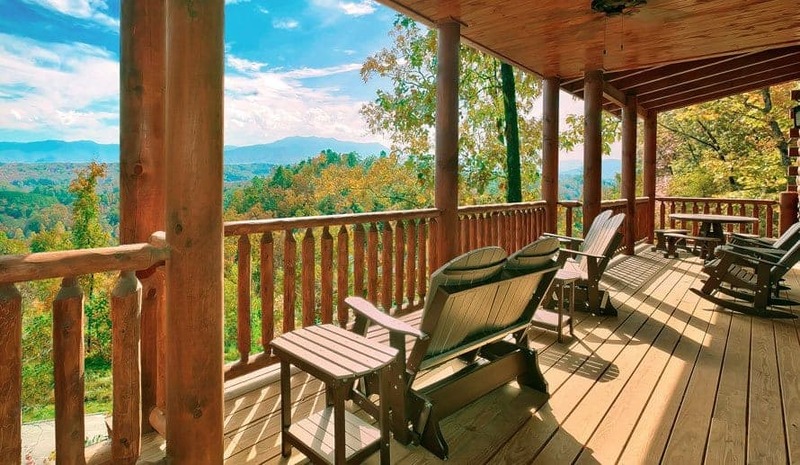 Check out all of our Smoky Mountain cabin rentals today to enjoy a Pigeon Forge cabin with a private indoor pool and other exclusive amenities! We look forward to seeing you soon at Large Cabin Rentals!